It’s Saturday morning, a glorious day already. 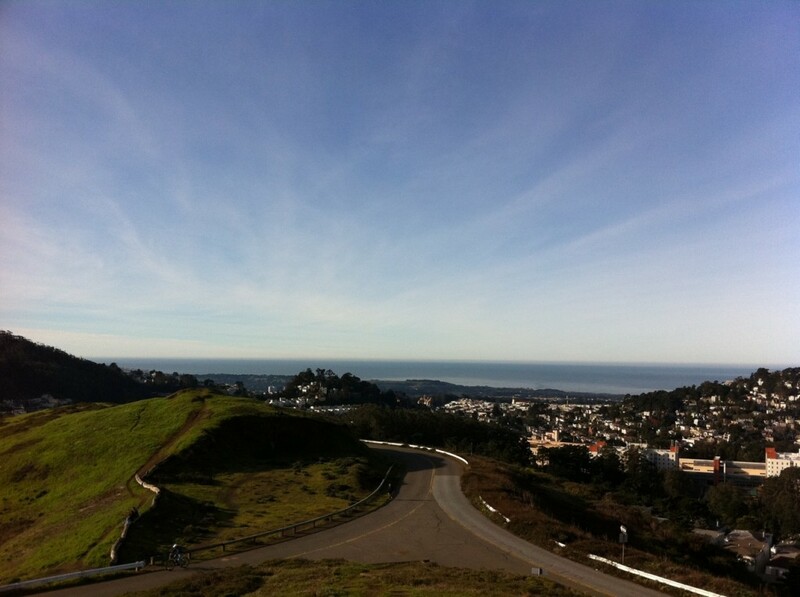 Blue sky, low-lying ribbons of mist along the bay that come into view as we climb Twin Peaks. We wind up wooden stairs bolted to the side of the hill, climb up to the topmost peak, where the city and ocean sweep out around us. We talk about entrepreneurship, and education, and making an impact. We keep walking, and the conversation turns to other things. But the question stays with me. If you want to do good, does it make sense to focus on making money first, or working for the cause you care about? Can you do both at the same time?